How Far is Real Value Sripathi? Await the Height of Luxury... 40 Uber Luxury flats with modern amenities coming up on Greenways Road, where the Elite and Who and who of upper social strata of society are living. The Project will be a flagship project of Real Value, one of the leading real estate developers, since 1995. Located in one of Chennai's the most premium area, MRC Nagar on Greenways Road, surrounded by greenery as far as the eye can see, the project overlooks a sprawling 450 acres of Eco Park, the Adyar river, the Chettinad Palace and the 300 acres Theosophical society. Needless to say, everything you need, school, college, hospital, market or eateries, weekend getaways, sports facilities, is within arm's length. 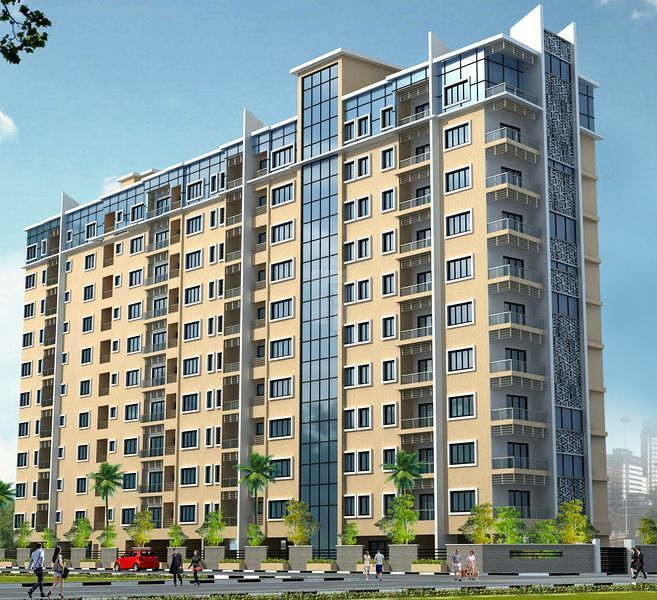 The project will have 40 aesthetically designed spacious 3 BHK apartments in sizes ranging from 2187 Sq.ft – 2556 Sq.ft spread across 10 floors with Carparks and amenities in 2 Basements and in Stilt. 2.Ceramic/Glazed Tiles for Bathroom\r\n walls, kitchen dado and Anti Skid Ceramic tiles for Bathroom floors. 3.Granite top for Kitchen fitted\r\n with Stainless steel sink having drain-board. 4.Teakwood Frames and HDP Skin doors\r\n for Entrance Door. 5.Seasoned Hardwood frames with\r\n flush doors – paint finish. 9.Enamel paint for Grills and wood\r\n frames. 10.White EWC and Wash-basin of BIS\r\n Standards. 12.CPVC/PVC pipes for plumbing and sanitary\r\n lines. 13.MCB, ELCB and Modular switches for\r\n Power lines. 14.Natural stones/tiles for Corridors\r\n and Steps with Enamel painted MS railings. Real Value is an ISO 9001-2008 certified company.Real Value promoter private limited is Chennai's most respected and diverse private property developer owning and managing a premium portfolio of residential apartments,condominiums,retail malls and office spaces.Established by a group of committed and passionate first generation civil engineers who looked at buildings as entities, not structures of mortar and stone.Real Value has redefined property development in a me-too market to emerge as a builder with a soul. Real Value's team of more than 140 professionals supported by a network of over 5000 People, is experienced in every phase of property management, acquistion,design,development,construction and after sale services. Since its inception in 1995, the company has acquired and developed 6.6 million square feet of projects besides handling 10 million square feet of projects in the pipeline.Foresight and skillful planning make Real Value the first to identify location in the city, as well as in emerging suburban areas, with significantly appreciable advantages. Real Value believes that small, thoughtful gestures create a lasting positive imapct. Not surprisingly, all of its projects have consistently raised the benchmark for eco-friendly measures and green building principles to create safer and healthier living spaces. Engineering excellence is in Real Value's corportate DNA as it continues to grow as company that makes dreams come true.With project integrity at its core, Real Value continues to deliver a comprehensive and holistic approach to Real Estate that only few can match.